Hamilton Town House is a Category ‘A’ Listed building in South Lanarkshire, and is owned and operated by South Lanarkshire Council. It contains both the town’s main public hall (formerly known as Hamilton Town Hall) and public library, as well as various council departments including licensing and community learning. The building, although appearing to be one, was actually built in stages over a 21 year period. The library section of the complex was opened by Andrew Carnegie in 1907. The adjacent townhouse offices were opened by King George V in 1914, and finally the town hall completed the building in 1928. In 2002, the building was closed to enable a major refurbishment and redevelopment project. This was required to bring the internal facilities to current standards, while restoring the exterior of the building. The building was completely restored to provide a new district library, civil wedding rooms and function areas. It also plays a major role in supporting arts and learning facilities for the community. 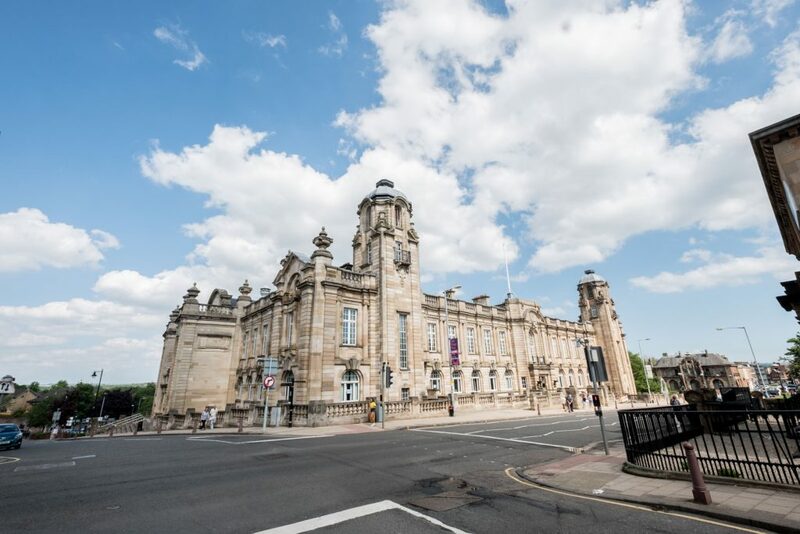 The existing Town Hall theatre accommodation was completely refurbished including installation of new specialist stage lighting, acoustic systems and internal decoration. Structurally, the project involved Woolgar Hunter in a thorough investigation of the existing building, in order to establish the nature of the construction, followed by careful and sensitive design of the required repair, restoration and new interventions. These involved new stairs, lifts and associated structural openings. In addition, a new glass structure extension at first floor was constructed, to create an extension to the theatre bar and breakout area.